You spent months hunting for the perfect wedding lehenga. Your wedding day arrived and went in a flash and then you boxed it all up in a suitcase only to what, to forget it forever? Your lehenga doesn’t just have to stay alive in the wedding album, there are ways you can wear it again and not cause a faux pas. So if your wedding lehenga has remained tucked away in the closet for far too long and you would love to wear it again but don’t know how, here are a few routes you could take. Just by draping the dupatta a different style you can significantly change the look of your lehenga. 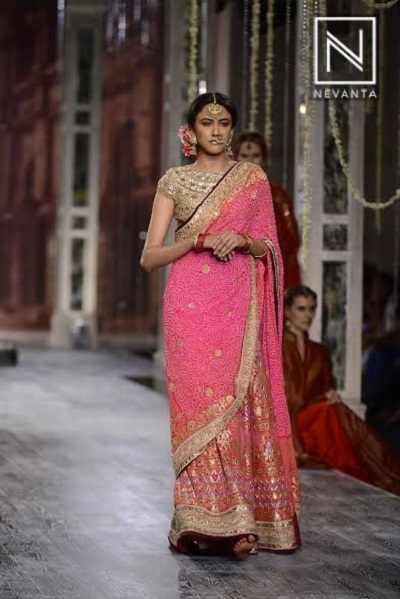 Drape the dupatta like a saree and you immediately reduce the volume and make the lehenga look new. You can wear a new, less heavy blouse for this. 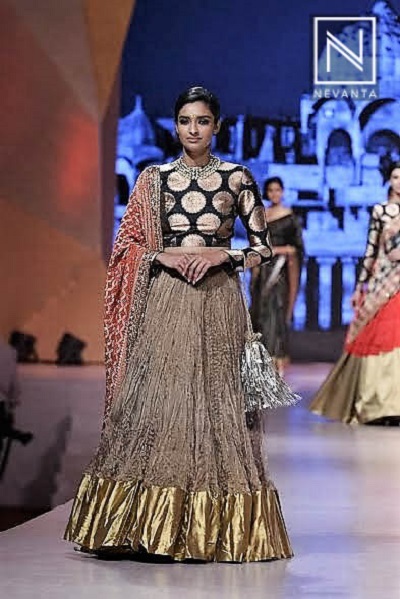 The three components of your wedding lehenga might feel a bit much when put together for a function besides your own wedding but individually, the skirt, blouse and dupatta are a great asset. Wear the blouse with a saree or even a plain voluminous skirt. The skirt itself can be teamed up interestingly with a variety of tops and the dupatta, as we’ve already discussed will elevate any ensemble manifold. One of the best features of the lehenga is its dupatta. No matter how heavy or light weight it may be, it is a great asset to have. Wear it with a plain anarkali and skirt or salwaar kameez. You can even pair it up with a saree to increase the bling factor. 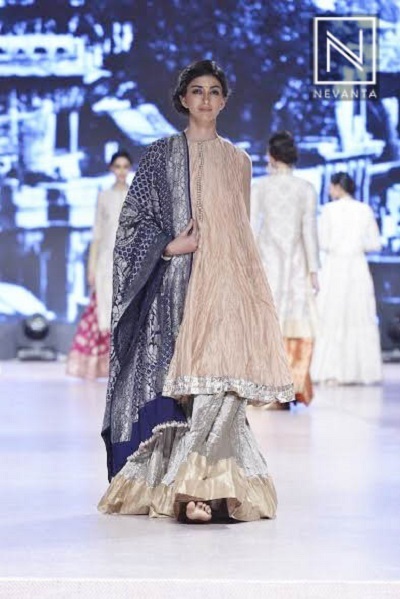 Capes and jackets continue to be all the rage and therefore, ditch the dupatta and pair the lehenga skirt with a simple crop top or a cape. You can also opt for a bustier and get a long jacket to go on top as well. One of the best solutions in the book – a lavish anarkali can never go out of style and works for a number of occasions. Take your lehenga to a tailor you trust and get the skirt and blouse attached into one ananrkali. You can keep you heavy dupatta if you want to for something lighter. You can pair this with plain tights or palazzos. Hope your wedding lehengas are stacked up no more.